Have you hit the dreaded 404 File Not Found error? How about network connection refused, unable to locate host, or host unavailable? What do these cryptic error codes really mean, and how can you get around them? 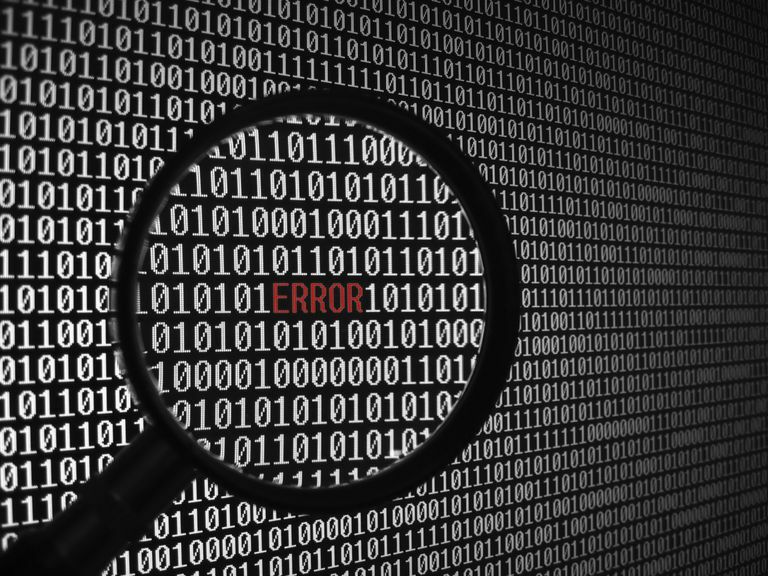 Find out the meanings behind some of the more common error codes you might come across while on the Web. Types in a bad URL. Tries to access a Web page that is not open to the general public without a password. Types in the wrong information for the URL, i.e., a forward slash rather than a backward slash as part of the Web address. What you can do about a 400 Bad File Request: Check the URL carefully and try typing it in again. If that doesn't work, try navigating to the main (also known as the index page) part of the site and using a site search to find the page you were originally looking for. If the site does not offer a relevant site search option, you can use Google to search the site for the page you were looking for originally. A 403 Forbidden error message can show up when a Web searcher tries to access a Web page that needs some kind of special credentials; i.e., a password, a username, registration, etc. A 403 Forbidden Error doesn't mean that the page is not available, but it does mean that (for whatever reason) the page is not available for public access. For example, a university might not want non-university students accessing its library reference desk, so it requires a username and password in order to gain entrance to this information on the Web. The Web page has been moved without a forwarding address. The Web page has been deleted. An incorrect URL has been entered into the browser address bar. The Web page might be temporarily unavailable due to high web traffic or lack of server space. Instead of "widget.com/green", go to "widget.com" and use the site search to find the page you were originally looking for. If the Web site does not offer a site search, you can use Google to find the page. The network connection refused error appears when a Web site is experiencing a lot of unexpected traffic, is under maintenance, or if the Web site is accessible for registered users only (must supply a username and/or password). How to deal with a network connection refused error: Usually, this situation is temporary. Try refreshing your Web browser or visiting the site later. Also, check that the URL is typed correctly into the Web browser address bar. You might also see this error as "network connection refused by the server" or "network connection timed out." The network connection has been lost or interfered with. The URL of the Web site has been typed incorrectly. What to do when you get an "Unable to Locate Host" error message: This is usually a temporary situation. Check to make sure that the URL has been typed correctly into your Web browser's address bar. Hit the refresh button to see if the Web site is able to correspond with the Web server. If these options don't work, check your network connections and make sure all is functioning correctly. You might also see this defined as unable to locate domain, unable to locate network, or unable to locate the address. The error message Host Unavailable can show up when a site is unable to connect with its server; this could be because the Web site is experiencing unexpectedly heavy traffic, undergoing maintenance, or been taken down unexpectedly. How to deal with a "Host Unavailable" error message: Usually, this situation is temporary. Hit refresh in your Web browser, clear your cookies, or simply visit the Web site at a later time. You might also see this as domain unavailable, network unavailable, or address unavailable. The connection to the Internet has been lost or interfered with. The site has been deleted or moved. The site is experiencing too much traffic and is temporarily down. What you can do about a 503 Service Unavailable error: Check your connection to the Internet, and make sure that the Web address is typed in correctly. Refresh the Web site in your browser. If the site is experiencing too much traffic, you can sometimes access it via the Google cache command, which brings up the site as it was when Google last looked at it. Do You Know These 10 Basic Web Search Terms?